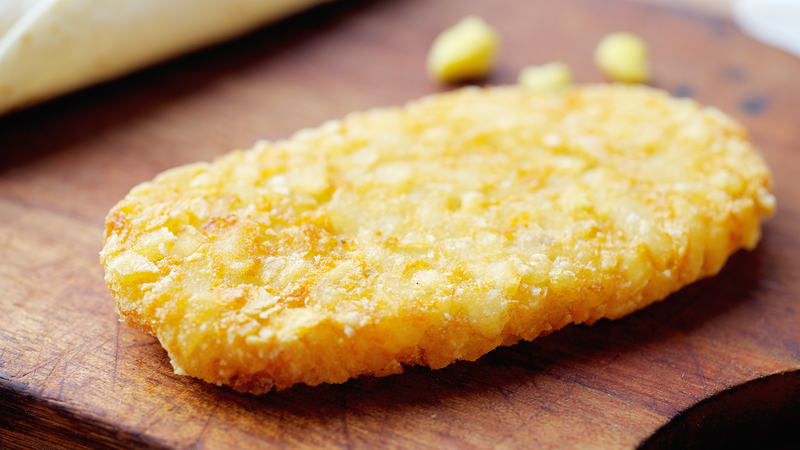 Fast-food breakfast can be pretty hit or miss save for one glorious, consistently perfect breakfast side: McDonald’s hash browns. Who doesn’t look forward to ordering these crispy, starchy treats, especially on long road trips when decent breakfast food can be difficult to find? Sure, they leave your hands a greasy mess, and fine, OK, they’re nearly 160 calories each and loaded with carbs, sodium and everything bad for you, but it’s worth it. Always. As if they couldn’t be more perfect, there’s a hack to taking these golden hash browns to the next level. You can actually order them well done, according to Foodbeast. “I would work the morning shift at Micky D’s during my college years, and one of my favorite things to make during break would be extra crispy hash browns,” Foodbeast’s Peter Pham reports. According to Pham, the hash browns are simply left in the hot oil for a few more minutes, leaving them a tiny bit darker and extra crispy. This hack isn’t necessarily breaking news, though. These people have been in the know for some time. TIL: People order McDonalds hash browns "well done". y'all sleep if you don't order your mcdonalds hash brown well done. But for the rest of us, it’s a total game-changer. Pair this news with the launch of McDonald’s cheesy bacon fries and the fact that the fast-food behemoth will cut down on antibiotic use in its beef, and we might just have to buy another pair of extra-stretchy drawstring joggers. RIP diet.